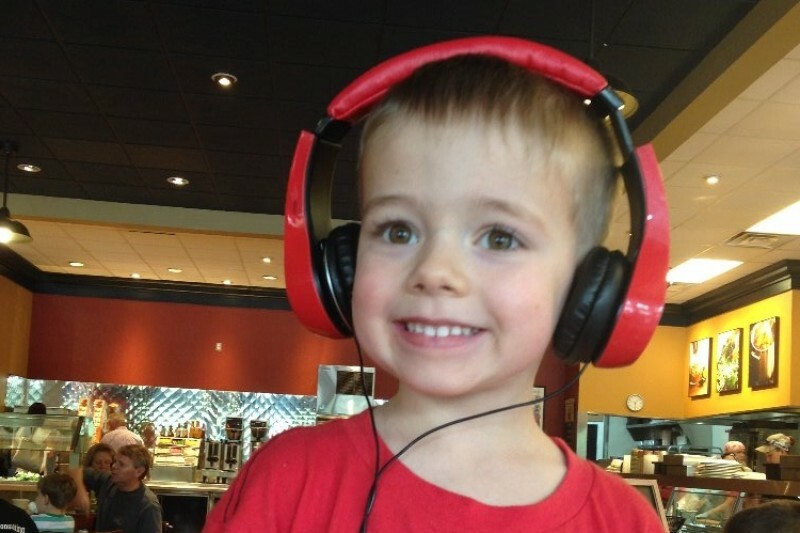 Jacob Hill is a loveable five year old boy with bright captivating eyes and a contagious smile. At first glance, he appears just like any other rambunctious little boy. However, in just a little while, you'll notice that Jacob struggles to verbalize his wants and needs well. He not only has difficulty following commands, he has no sense of danger and is prone to wandering. This is because Jacob has autism. As Jacob's Nana, I see first-hand the constant fear that his mom and dad live with knowing that he is always at risk. There have been several intsances in which Jacob bolted from his caregivers and immediately ran toward the street. As with many children with autism, Jacob is innately drawn to water and moving cars. Despite his challenges, Jacob is a promblem-solver, making him an excellent escape artist! As a result, someone must be assigned to holding on to Jacob to ensure his safety. Consequently, his mom and dad never rest physically or emotionally. And, Jacob doesn't get to have the independence that every little boy deserves. After many tears and much research, my daughter discovered Autism Service Dogs of America (ASDA). As an answer to countless prayers, Jacob was accepted into the service dog program. While tethered to the autism service dog, Jacob will be able to walk alone, giving him that needed independence. Jacob's service dog will protect him from running off and will be able to relieve his anxiety by applying deep pressure upon command. An added blessing is the companionship that the dog will provide Jacob, who struggles to make connections with other people. The cost of training a dog for almost two years to become a certified service dog, who will accompany Jacob everywhere, including school, is $13,500. The program will not begin this training until the money is raised. Please join me in raising the money to bless Jacob with a live-changing service dog. All donations will go directly to ASDA, a non-profit organization, and are tax-deductible. If you would like a receipt, please email Cret or Allison. Thank you so much to everyone that donated towards Jacob's autism service dog. We are still in shock that Taylor Swift donated $10,000! Our hearts are filled with joy and gratitude. This dog will change Jacob's life and we couldn't be more thankful. Thank you all so much for your generous donations. We cannot believe Taylor and Andrea Swift saw the girls' video and donated $10,000 helping us to reach our goal and pass it! We are so appreciative to everyone that helped us fund Jacob's dog. Thank you thank you! The mission at Autism Service Dogs of America (ASDA) is to make a positive impact on the lives of individuals living with autism, and their families, by providing exceptionally well trained service dogs. Their service dogs provide physical safety and an emotional anchor for children with autism. With their child tethered to a service dog, families are able to engage in activities as simple as going to the park or going out to eat as a family. When out in the community, a service dog increases safety and helps families feel secure. The service dog’s calming presence can minimize and often eliminate emotional outbursts, enabling the child to more fully participate in community and family activities. In many cases, the service dog accompanies the child to school, helping with transitions between activities and locations. Having a service dog helps increase opportunities for the child to develop social and language skills with others. We can't wait for Jacob to receive this incredible blessing and cannot wait to see the impact it will make on his life. Thank you so much for supporting him! Any advice on getting donations or where else i can share because I too have been looking to get my 5yr old autistic son a service dog and only had one donation from a family member so far and its been up over a year now and not getting help through Facebook i just don't have many connections... Any advice appreciated! Iam excited you will be getting a srrvice dog. Ijust wanted to let you know that Service dogs are FREE from New Horizon Service Dogs in florida. They have beautiful Goldens and Labrador retrievers that are very well trained. God Bless you and I'm praying you get a dog soon. Best of luck with the new dog. Dogs for children with autism are amazing and you will likely see Jacob develop in language quickly as well after receiving the dog. He has to give it commands after all. I work with an organization that trains these types of dogs and I have heard remarkable success from the children, and parents who could finally get a full nights sleep for the first time. Best of luck to all of you. Jacob sounds a lot like my son❤️ I hope the new dog brings lots of joy and comfort. You guys are in my prayers! ENJOY YOUR NEW SERVICE DOG JACOB!! THANKS BE TO GOD!! WOOT WOOT!! Great job on the video, ladies! Enjoy your new furry friend, Jacob!